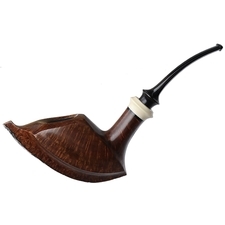 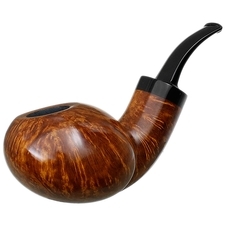 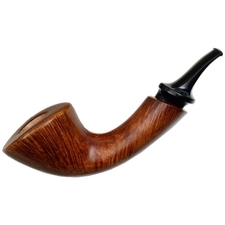 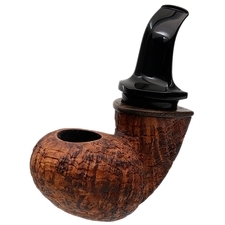 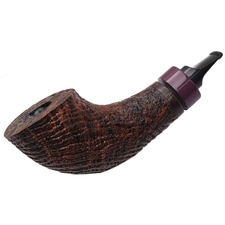 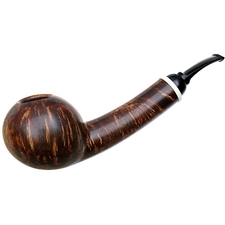 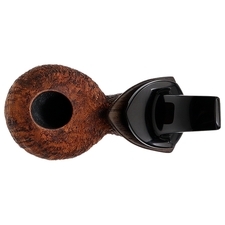 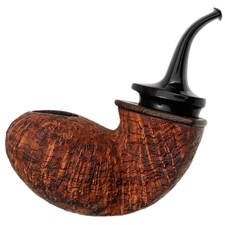 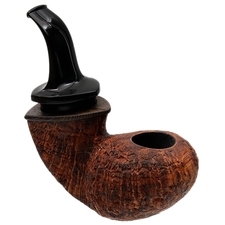 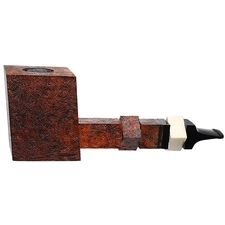 Full-bent pipes are always a delight, and in the hands of Konstantin Shekita, a full-bent pipe can take on a very different form than what immediately comes to mind at the descriptor, which might be something along the lines of the traditional Oom Paul, or a similarly structured shape. 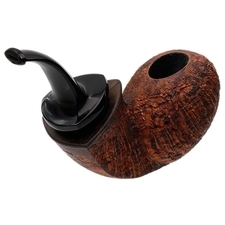 While Shekita is no stranger to structure, this Tomato uses it in a different sense, utilizing teardrop lines to create a sleek, fluid underside, while the bowl and shank are not just thick and muscular, but quite organic when viewed in profile. 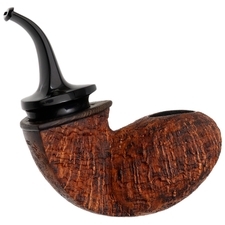 Indeed, it's the shank end that shows its underlying form, an accent of dark wenge highlighting its triangular disposition, even as it's softened closer to the transition, which is kept utterly subtle, with just the slightest bit of cheeking to the bowl giving it presence at all. 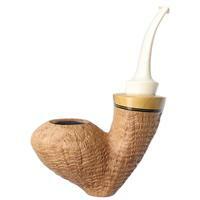 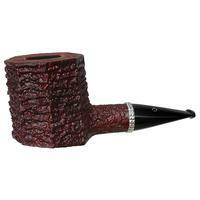 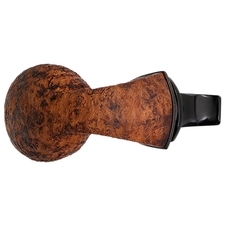 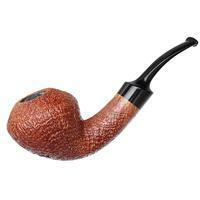 His style of finishing accentuates the form of the piece pleasantly, a crisp sandblast ensuring a wealth of texture in hand, while a contrast stain highlights the way the flame grain is packed around the waistline of the piece, making it feel even fuller as one views it. 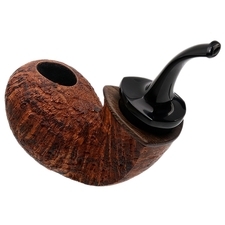 It's beautiful work, breaking some of the molds of traditional design in a splendid way.